I have a very short list of must-watch television programs. At the top of that list is Texas Country Reporter. I have been a big fan of this program for years. I think that Bob Phillips, the host, is one of the best storytellers around. Phillips and his film crew travel the Lone Star State to film stories of interesting places and fascinating people. 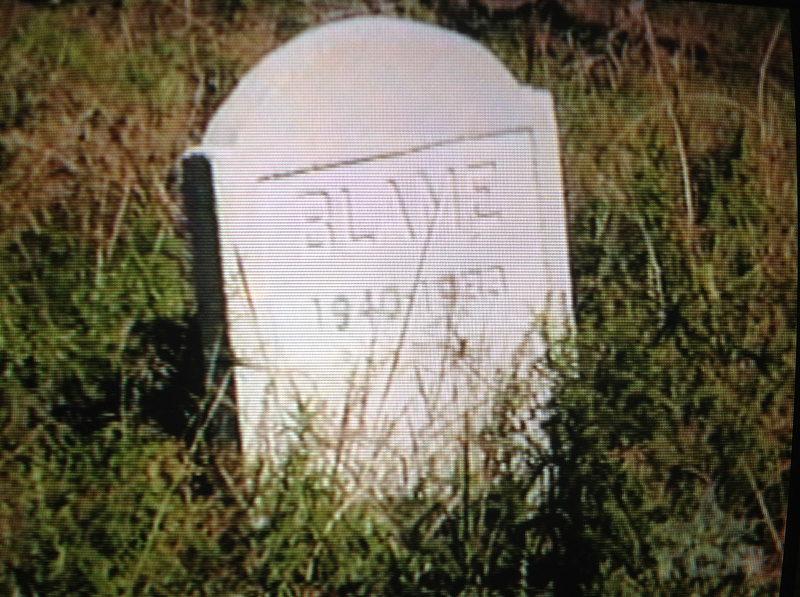 On today’s program, Phillips visited Texas artist and sculptor Bill Worrell who makes his home near Mason, Texas. Bill is well-known to those who appreciate southwest and Native American inspired art. What I found especially interesting about Worrell is what he refers to as “his greatest work and latest creation.” It’s not what you might think — one of his expensive and much-sought-after works of art. Instead it is what he calls his Garden of Thorns. 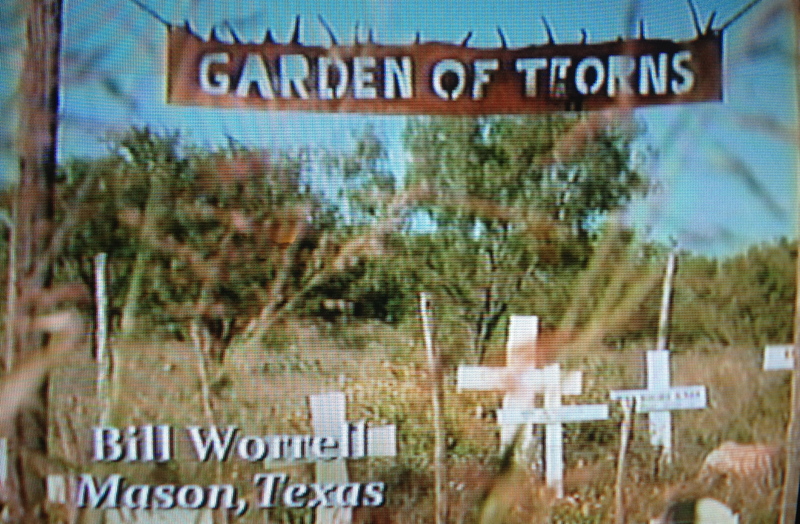 Worrell set aside a small tract of land on his property, a place, he explained, where he “decided to bury a lot of garbage and junk from my past.” As Worrell and Phillips approached the Garden of Thorns, it looked like a “Boothill for Bad Habits” complete with weeds, thorns, and thistles among the headstones. 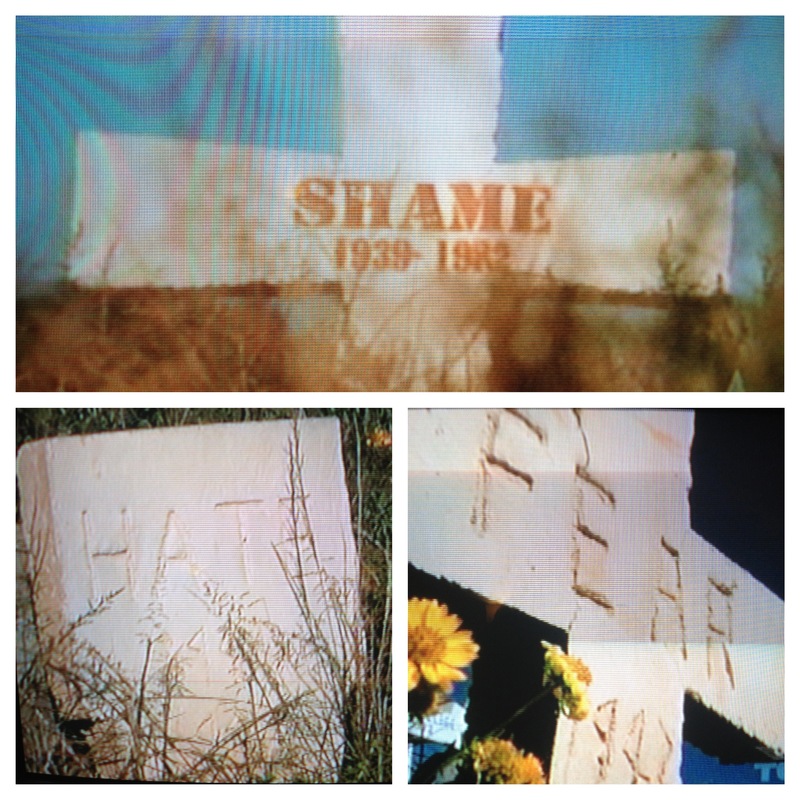 Worrell pointed out that he had also buried Hate and Fear and Shame, among other things. “So, Bill,” asked Phillips, “what you’re telling me is that you buried all your bad habits, your bad thoughts, all that?” Worrell replied, “Uh, not all of them but many of them. Still have some to go.” Worrell knows that he still has, what he calls, “thorns in the flesh” to deal with. But the good thing is that he is taking intentional steps to deal with those things. Listening to Worrell reminded me of the words of Hebrews 12:1 which admonish us to “lay aside every weight, and sin which clings so closely” in order to “run with endurance the race that is set before us” (Heb. 12:1). I like Worrell’s Garden of Thorns and agree with his reason for burying the garbage and junk from his past there. “I decided,” said Worrell, “symbolically we ought to bury this stuff.” He’s right. It might do us all some good to have our own Garden of Thorns, a place where we can toss aside the kind of stuff that can wreck and ruin our lives. As Worrell and Phillips walked away from the Garden of Thorns, Worrell remarked, “You know, Bob, I think that burying all this stuff has made me an even better artist than I was before.” Just imagine how much better we might be if we symbolically buried the garbage and junk of our own lives and left it there to rot and decay. Hi Laurel. I live in the Houston area where it airs on Saturday at 5:00 PM. You can also see episodes on YouTube. Just search by Texas Country Reporter. Their website also has a program schedule. I hope you enjoy the program. I too was just watching TCR. And I agree that Bob is a great story teller. Mr.Worrells’ story touched me so I went straight to the web so I could learn more about him. I wished your story had a way to share it on other sites like facebook. Thanks for your rendition it is nice. Thanks so much, David. If you click on the share button at the end of the blog post it will give you a link to share on Facebook. Thanks for reading. In 2005, in a small Taos, NM art gallery, Bill Worrell captivated me with his words, his art and his heart. I couldn’t afford his beautiful painting but Bill graciously took the time to share stories with a complete stranger. Learning we were both from Texas and being from Austin I was practically a “neighbor” to Worrell from Mason. He graciously extended invites to his wonderful world in Mason “Art”, Texas. He adds so much character to that slice of heaven he calls home. It’s been awhile since I’ve heard his voice and seeing the show helped me remember how inspirational and profound he is. I posted a link to your story on my Facebook page. Thanks for writing and sharing so we can all enjoy and learn. Thanks, Terri, for sharing your story about meeting Bill. He is a man who seems to think deeply about life. I was so glad to learn about him on the TCR program. Thanks also for posting a link to my post on your Facebook page. I appreciate your kindness. A friend of mine saw this on the Country Reporter & referred it to me. I hope to see this soon……I have emailed this to many of my church friends. I live a short distance from Mason. Thanks for the blog. Thanks for passing along the link to my blog post, Carolyn. I appreciate it very much. I watched this program (TCR) this morning, it is the most inspiring story I have watched in a long time. It made me stop and think how I and everyone has thorns that need to be buried. It was amazing to me how Bill Worrell took it literally and actually symbolized his thorns by burying them. It is a must see and read about story. Thanks for your comment, Janice. This episode is one of my favorites. Very convicting and inspiring. I’m glad that you can enjoy a little bit of Texas in New Jersey. Thanks for reposting the story on your social media. Great lesson from Bill Worrell. One thing I noticed on TCR show, especially when he interviews anyone who is a craftsman or artist, is how humble they always are. Its too consistent to not be a common character trait in TX. Kudos. I hope SC is likewise enabled. I have met many artists/craftsmen in Texas and New Mexico and have found what you observed to be true — just humble folks who are passionate about what they do and who enjoy the moments of their days. Bob Phillips has a gift for telling their stories in compelling ways on his program.